• Discover how to use low-cost publicity to get their name known. 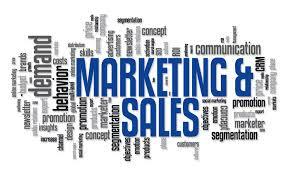 • Know how to develop a marketing plan and a marketing campaign. • Use time rather than money to market their company effectively. • Understand how to perform a SWOT analysis. To begin, participants will review their pre-assignment in small groups. Next, participants will explore the definition of marketing and other key terms. This session will focus on how to determine whether an idea is a trend or a fad. Participants will learn about primary and secondary research, and the benefits and drawbacks of both methods. Next, participants will look at 89 marketing strategies and identify what they are doing and what they could be doing to make their marketing more successful. The first half of the workshop will conclude with a discussion on mission statements. During this session, participants will critique brochures to develop some guidelines to take back to the office. Participants will work in small groups to develop a checklist of activities to do before, during, and after a trade show. Next, participants will learn about the four P’s of a good marketing plan. We’ll also explore how to do a SWOT analysis and how to market on a small budget. This session will share a formula for increasing sales with participants. Participants will read an article on why and when they should tell say no to a customer. Next, participants will explore some advertising myths. To wrap up the day, participants will learn about roadblocks to networking and remedies.